The key feature that attracted me to the LLM BPTC is the exceptionally high standard of advocacy that is offered by NLS and its reputation compared to other providers. I chose to undertake the LLM BPTC at Nottingham Law School (NLS) because of its state of the art facilities and its outstanding teaching staff. In addition, NLS has a forward-thinking approach that pairs education with career building. The university has exposed us to employers and practical professional opportunities and schemes from an early stage, which is an invaluable addition to life after the academic stage. Before I undertook my legal training, I had studied Psychology with Community Development. At that time, I was also running an experiential marketing agency and an online radio station. Due to the nature of the businesses and the clientele involved, I was able draw into various aspects of Intellectual Property law such as product placement, trademark and copyright laws. Incidentally, I had always had an incline towards Commercial law due to the opportunity to engage in international work and the endless opportunities for growth that are within the practice. 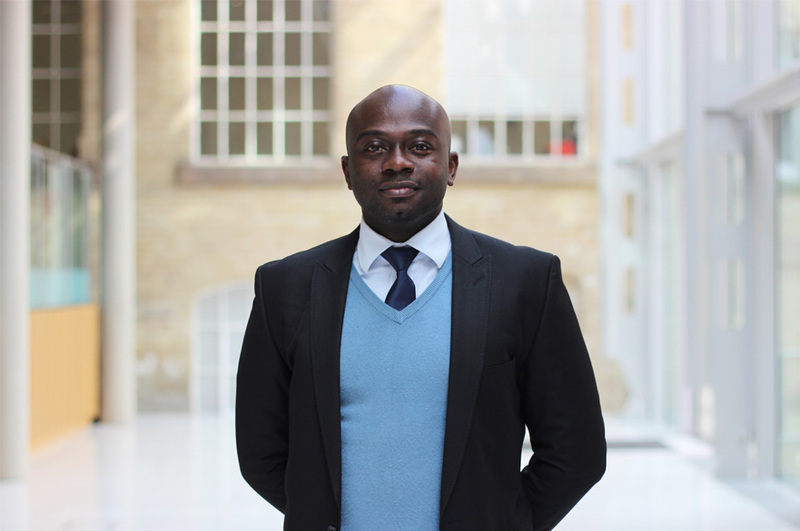 As a result, I decided to pursue my interest in law by taking up the two-year Senior Status law degree, followed by the LLM BPTC, both at Nottingham Law School. I was introduced to NLS by a UK university agency in Kenya known as Uniserve Education. I chose to stay on to do my postgraduate course because of the high quality and satisfactory facilities that are offered by the university and the outstanding teaching staff. I was awarded the NLS Dean’s Scholarship for Academic Excellence to study on the BPTC. I have participated and judged in mooting and negotiation competitions, and most recently, I undertook FRU (Free Representation Unit) training, which provides the best insight of life in bar practice by allowing you to undertake real advocacy in employment tribunal cases. I have also published three articles in the Schools ‘All Things Law’ magazine, amongst other things. The key feature that attracted me to the LLM BPTC is the exceptionally high standard of advocacy that is offered by NLS and its reputation compared to other providers. The course is run by professional legal practitioners who are always motivated, dedicated and committed to student excellence. We get significant tutor support in seminars and in advocacy sessions in the courtrooms. We have a peer review system, which is very useful for growth within the cohort. The department also organises extracurricular events for students and others with the local bar and judiciary which are incredibly useful for networking and R&R. I am keen to inspire aspiring law and bar students by sharing my experiences. My BPTC qualification will be useful in fighting for causes that will make real life differences. Over the course of my career, I intend to set up philanthropic projects and law clinics similar to the Legal Advice Centre, which will be provide free legal advice and representation to individuals who cannot afford the ever-rising costs of litigation.